Whether on the road or parked up, Dashmate Dash Cams will be your eyes and ears on the scene in the event of an incident, accident or emergency. 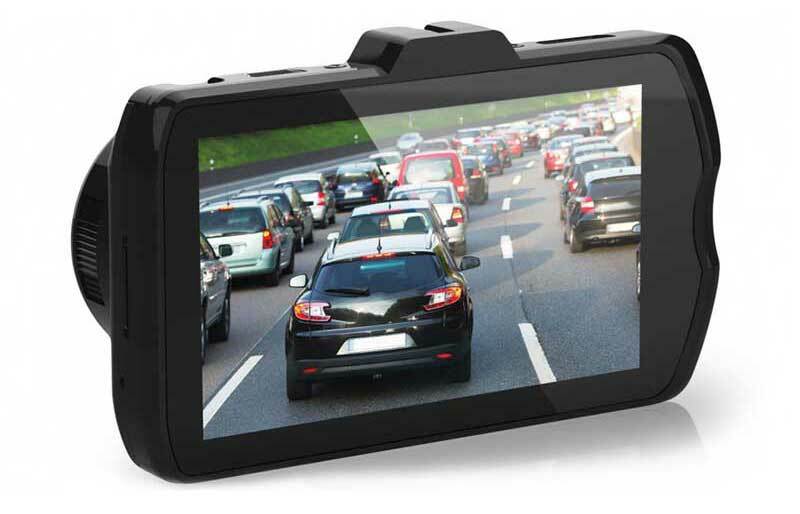 Featuring full 1080P HD optics, and a wide 120° field of view, the Dashmate DSH-440 is able to capture events in great detail with built-in time and date stamping for accurate reference when needed. The DSH-440 boasts a bunch of cool features and inclusions, usually only associated with much more expensive units, including motion detection, built-in G-Sensor and a large 3" LCD screen for easy navigation through menus as well as playback and review of recorded footage. All data is recorded on an SD card (sold seperately) up to a maximum of 32GB with a minimum Class 4 rating. This handy feature allows the DSH-440 to record over old footage to ensure that you don't run out of storage space when you need it.